That’s probably the toughest question out there for all travel-addicts. How much will it cost me? How much will it cost to sleep and eat for several months in a foreign country? 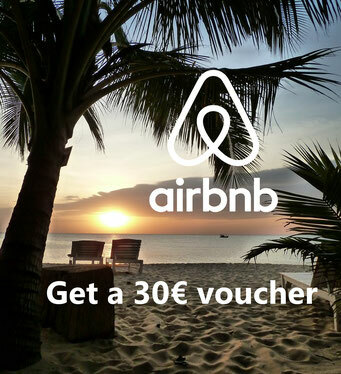 What are the prices for an accommodation or for a transfer service? How much money do I need for a trip around the world? We had been on the road for 6 months. Travelling to Australia, New Zealand, Cook Islands, French Polynesia (Bora Bora), Easter Island, Patagonia (Chile and Argentina), Uruguay and Brazil. Some of these countries are quite pricey – we knew that but not in detail – so we tracked our costs scrupulously correct. In fact, Max wants to become an auditor one time, so at least he had fun doing that. Long story short, we always knew, when and where we spent every Euro. And now you can benefit from that :) We want to show you our actual expenses, to help you guys calculate your next trip and see as much from the world as you want to. Check out our route and what is important to consider when you plan your route. per person for a SIX MONTHS trip through the southern hemisphere! ⇨ To get a better insight onto these numbers and be able to compare them to you, go check out our Style of Traveling and expenses per country! We wanted to spend our money preferably on cool activities, e.g. national parks, guided tours, scooter rentals and fun things like skydiving, canyoning, sailing, scuba-diving, biking or paddle boarding. On the other hand, we cared less about accommodation and food & drinks. Meaning, we would choose to stay in hostels, camp sides, or maybe at an Airbnbs, when then offer was good ;) Especially when lodging was expensive like in Australia or Patagonia we would stay in dorm rooms, otherwise we tried to get good prices on double rooms. Don't get us wrong, when there was good and traditional food, we needed to try it of course - no one can resist steaks in Argentina ;) But we tried not to eat out and prepare food on our own! It's often more healthy and cheaper, but can be difficult without a kitchen. Transport is a big factor! We were renting cars, campers or other suitable vehicles to have the freedom of exploring on our own and not to go on expensive day-trips that force you into a fixed itinerary. We always tried to organize ourselves with other fellow travelers we met to team up to get a car and split the costs. Especially in popular places like Ayers Rock or Easter island, that's the best way to save some cash! If you wanna know more about renting a campervan in New Zealand. We wrote down all important facts and tips we gathered from our experience in another blog article: Ultimate tips for your campervan rental in New Zealand! What we spent a lot of money on was flights. We just couldn't resists to spent an extra 300 Euro for a return ticket from Tahiti to Bora Bora... so close and not going? no way!! 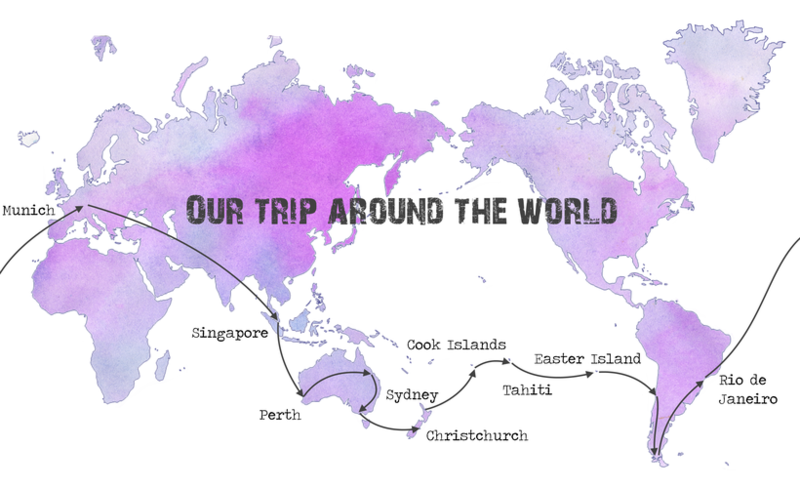 Of course I spent endless hours comparing prices and round-the-world tickets, you can read all about how to book an around the world trip here! 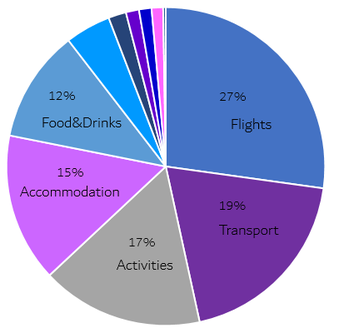 The numbers show that we spent more money on activites than accommodation! Seems weird even to me! 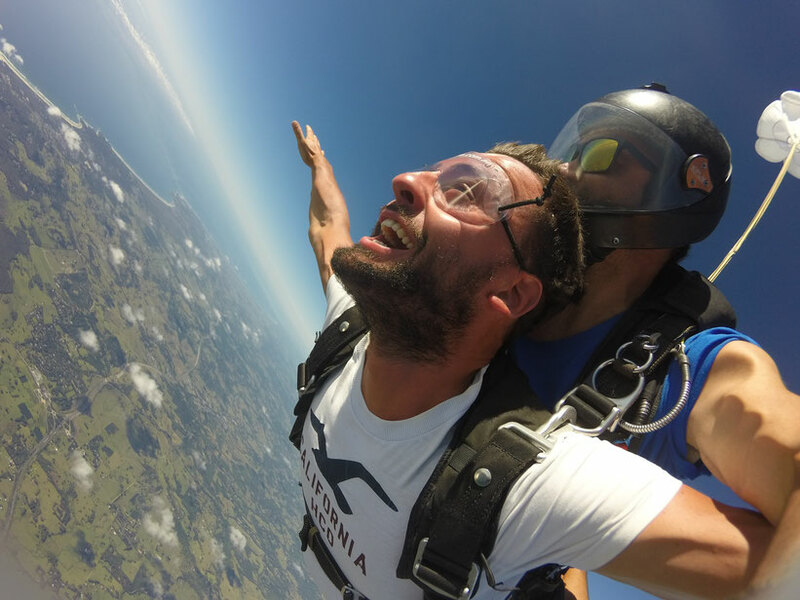 I think our most expensive activity was sky diving in Byron Bay, followed by diving with Manta Rays on Bora Bora and canyoning in Wanaka, New Zealand. But I'm sure this will be remembered way longer than any fancy hotel room.. so, I guess - worth it!! Every travel is different, so we guess our all in all costs don't help you that much. That's why we divided the costs per country. See below how long we stayed and how much we spent. As currency conversion changes constantly we included the local currency as well. Soon we publish the detailed expenses per country too... tell us in the comments which one you are mostly interested in! Wow was für ein tolles Erlebnis. Ein halbes Jahr auf reisen. Das hört sich super spannend an. Ich finde euren blogpost super spannend da man sich natürlich schon fragt was das kostet und ob es für einen selber in frage kommt.